The HCANA are soliciting proposals for changes/amendments to the HCANA Bylaws. A current copy of the bylaws is attached for the review of any HCANA members who would like to make a submission. Potential changes to be submitted to HCANA 2nd Vice Chair Mark Van Doren via e-mail navigator0177@gmail.com NLT than September 1. 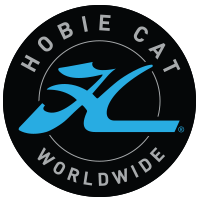 Bylaws that reflect cultural changes in the Hobie community or in the manner that events are organized and managed are essential to keeping our sport relevant for future generations to enjoy. The Annual General Meeting (“AGM”) of the HCANA will be held during the 2016 Hobie 16/18 NAC’s, Oct 10-14, at Puerto Penasco, Mexico. The Board of Directors will consider the proposed amendments to the HCANA Bylaws during the AGM.